Would you join us and MAKE A DONATION TODAY? Every bit helps whether it is $500 or $5! 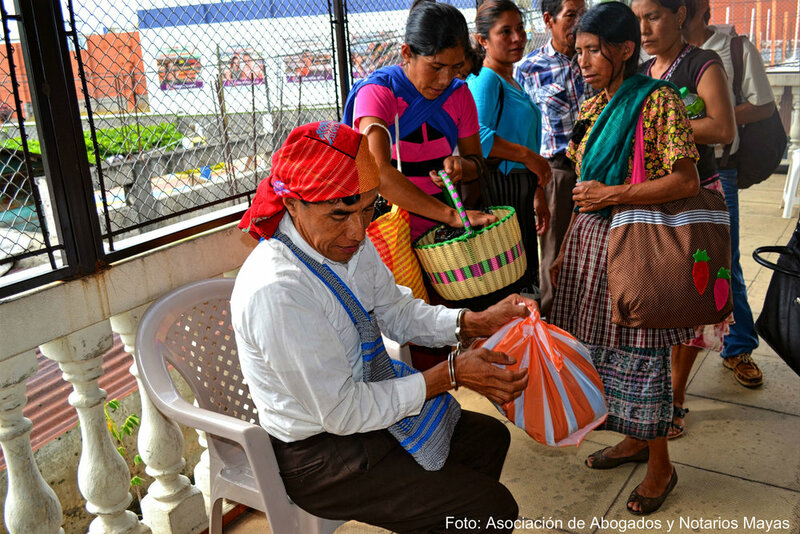 Today, defenders of the rights of Mother Earth continue to be criminalized in Guatemala. Last year the Mayan League had the opportunity to coordinate an international Delegation with members from Cultural Survival, First Peoples Worldwide and relatives from First Nations communities in Canada and Mexico. After a tense morning with the prison security and scrutiny, questioning and monitoring of our Delegation, we were finally let into the Prison, Granja Modelo de Rehabilitación Cantel in Quetzaltenango Guatemala. Only women of the Delegation were allowed in for a visit. 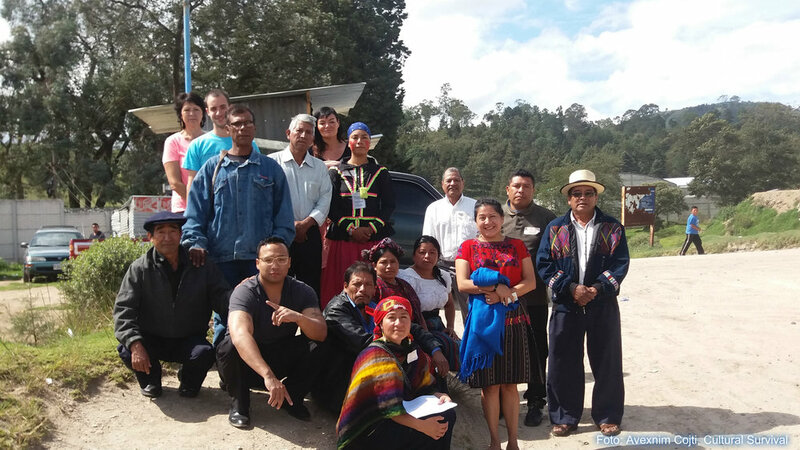 We met with 11 Political Prisoners, traditional authorities of the Mam people who have questioned the proposed hydro project, Hidro Salá in the municipality of San Pablo in the department of San Marcos, Guatemala. In this group of Political Prisoners was Traditional Maya Authority, Tata Oscar Sanchez of the Maya Mam Nation and a member of the National Council of Ancestral Authorities. He was one of the leaders who had questioned the process of the project Hidro Salá. The problems began in 2009, with the irregular processing and authorization of a license to construct the hydroelectric dam, a project that received opposition from traditional authorities and community members. Despite community opposition, the project Hidro Salá was approved by the National Commission of Electric Energy and authorized by the Ministry of Energy and Mines in May 2011. It has an energy potential of 15 megawatts and the use of the river Salá was approved for 50 years. Traditional authorities have been arrested, persecuted and intimidated as a strategy to silence opposition and instill fear in the local community. Almost six months later, this climate of fear and intimidation continues. Tata Oscar was released under house arrest in October 2016 and continues his legal fight. We are asking for financial assistance to help Tata Oscar and his legal team as they bring his case before the courts this Month. Would you join us and make a donation today? Every bit helps whether it is $500 or $5! In a country where human rights defenders are arbitrarily detained, persecuted and in the most extreme cases, assassinated, the process to access justice is difficult. Your help will provide Tata Oscar the opportunity to fight his legal case and ensure that he has a chance to justice. Each donation made offers him and his family the chance to obtain his complete freedom. This is a crucial time for all of us to reaffirm that we will not stand for development at the cost of human rights. We thank you for standing with all Water Protectors – water is sacred and is a human rights. Water is Life! Ate che’wa’ chwinqlal!